If you have ever spent a weekend binge watching a season of White Collar or the fascinating documentary Sour Grapes on Netflix, you are absolutely going to love the Treasures on Trial exhibit at Winterthur Museum, Garden & Library. With more than 40 iconic forgeries and counterfeit objects on display, this temporary exhibit covers everything from art and wine to sports and fashion. Neil Caffrey and Rudy Kurniawan would be impressed by some of the work on display here, and the rest of us will all be thrilled to learn the backstories behind how these fakes were eventually exposed! 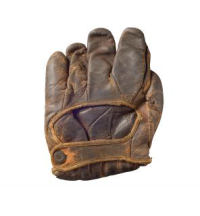 One of the most interesting items on display at the Treasures on Trial exhibit is an old baseball glove that was believed to have been owned by the legendary Babe Ruth. This knock-off of one of The Great Bambino&apos;s gloves was sold for a whopping $200,000 before it was determined to be a fake. Visitors will also get to experience the story of a reputable New York art gallery that was shut down after it was discovered that they had sold an incredible $60 million worth of forged paintings. 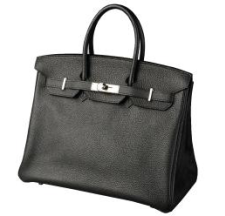 Anyone who has ever attempted to distinguish between real and imitation handbags will want to take a close look at the Hermes Birkin bag on display. This phony made it all the way through Spa Hermes for cleaning before it was finally identified as an imposter. While the bulk of the Sour Grapes documentary focused on Rudy Kurniawan, it also introduced us to the extraordinary wine collector Bill Koch. And on display as part of this exhibit is a bottle of 1787 Chateau Lafitte that was allegedly owned by Thomas Jefferson and was purchased by Mr. Koch for half a million dollars before it was identified as a phony! In addition to the fascinating items on display, visitors will also get to participate in expert lectures and view a documentary film series on forgeries. So not only will you get to learn how these items were created, you will also learn all about the science and technology that went into identifying them as fakes. Winterthur Museum is open every Tuesday through Sunday from 10 am to 5 pm. General admission tickets to the museum can be purchased in advance either online or by phone, and in person at the museum. Winterthur Museum Garden & Library is located just minutes outside of downtown Wilmington and adjacent to the Delaware Museum of Natural History and just minutes from Hagley Museum, home to the original Du Pont Company gunpowder mill. Whether you are fascinated by the brash tactics of the forgers themselves or prefer to learn about the science behind proving their work is phony, there is so much to learn about detecting fake art at the Treasures on Trial exhibit at the Winterthur Museum.